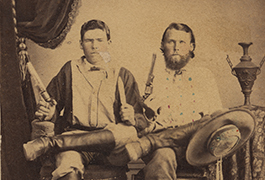 The Lawrence T. Jones III Texas Photographs digital collection contains a wide range of early Texas photography. The digitized images are from the Lawrence T. Jones III Texas Photography Collection, which contains approximately 4,200 photographs, ca. 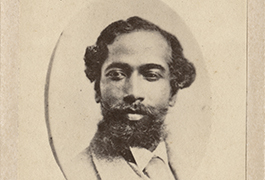 1846-1945, and is held by SMU's DeGolyer Library. DeGolyer Library digital collections are part of CUL Digital Collections, which contain thousands of digitized photographs, manuscripts, imprints, and works of art held by SMU's Central University Libraries special collections. The Jones collection is one of the most comprehensive and valuable Texas-related photography collections. 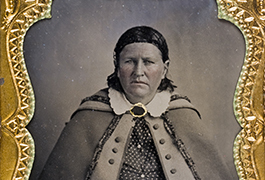 It documents all aspects of Texas photography, including the various types practiced from its earliest introduction to the state: daguerreotypes, ambrotypes, tintypes, stereographs and paper print photographs in various formats. 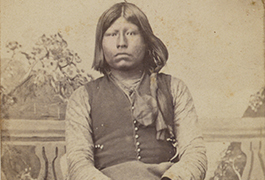 The online and physical collections depict a large array of subjects and styles, and examples by numerous photographers, both professional and itinerant, who documented Texas, the contiguous states and Mexico. The digital collection includes cartes-de-visite, cabinet cards, oversized photos, stereographs, and more. 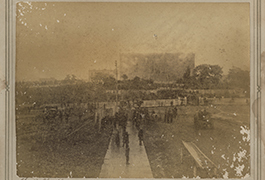 The subjects of the photos include Confederate and Union soldiers and officers in the Civil War; Mexicans, including ranking military officials from the Mexican Revolution; and a wide spectrum of Texan citizens, including African American, Indian, Hispanic, and Caucasian women, men, and children. 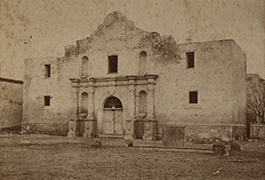 The photographs and information related to photos provide a unique glimpse into the social and domestic history, architecture, transportation, ranching, agriculture, commerce, material culture, costume, and urban and rural history of Texas. The Lawrence T. Jones III Texas Photography Collection represents over 30 years of collecting. Jones assembled his collection over more than 30 years from the 1970s to 2008. The images are an overview of Texas photographers, photography and history that spans a century. A finding aid to the collection is available in the Texas Archival Resources Online. 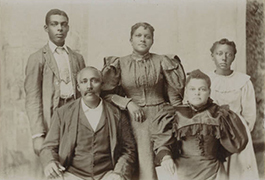 In 2010-2011 the Lawrence T. Jones III Texas Photographs digital collection was partially funded by the Institute of Museum and Library Services through a grant to the Texas State Library and Archives Commission (TSLAC) as part of TSLAC’s TexTreasures program. The Institute of Museum and Library Services is the primary source of federal support for the nation’s 123,000 libraries and 17,500 museums. The Institute's mission is to create strong libraries and museums that connect people to information and ideas. From 2010-2012 digitization of the Lawrence T. Jones III Texas Photographs was partially funded by a grant from the Summerlee Foundation's Texas History Program.